Ali Bilgin, the director of Turkish drama Ufak Tefek Cinayetler (Stiletto Vendetta), tells DQ about steering the Star TV series about revenge and rivalry between four old school friends. Four women who were once childhood friends are reunited as adults with old scores to settle and new rivalries to emerge in Turkish drama Ufak Tefek Cinayetler (Stiletto Vendetta). When they were teenagers, Arzu (Tülin Özen), Merve (Aslihan Gürbüz) and Pelin (Bade Iscil) played a cruel prank on their over-achieving best friend Oya (Gökçe Bahadir), leaving her shamed, devastated and suicidal. Years later, when fate brings the four back together, Oya plans revenge. From Turkish production company Ay Yapim and distributor Eccho Rights, the series has been renewed for a second season on Star TV, which is due to begin in September. Deals for the show have already been struck in Israel, Greece, Lithuania, Estonia, Slovenia and Romania. 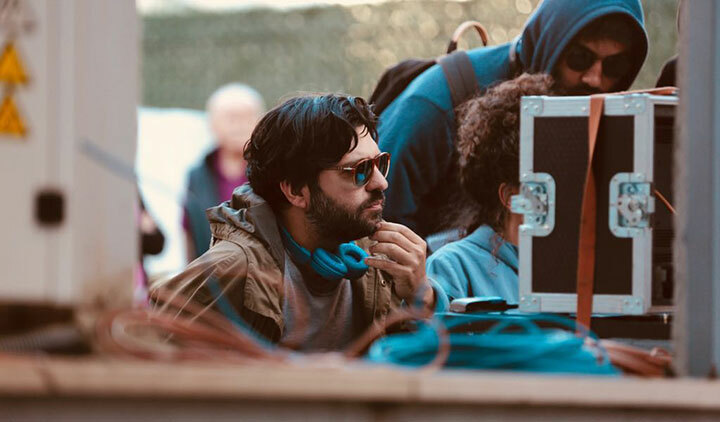 Speaking to DQ, director Ali Bilgin talks about how Stiletto Vendetta has broken new ground in Turkey, developing four unique lead characters and why local stories are the key to Turkish drama’s success. What was the appeal of working on Stiletto Vendetta? What attracted me most about this project was that it was a genre that had never been tried in Turkey and the fact I hadn’t done such a thing in my career. It was presented to me by Ay Yapım in a period when I didn’t want to work on classic stories. The script attracted me because it contains humour, tension and drama. The opportunity of working with good actors, and the depth of the characters, was very precious. I was excited because it was a project with high potential to which a director could add different interpretations. Knowing women, working with them and interpreting their troubles made me feel curious. How were you involved in the development of the series? Although I felt excited that it wasn’t a typical Turkish series, the hardest part was to find a way to localise the project and elevate it to a level that general viewers would like. Together with our producers, our screenwriters and our team, we put a lot of thought into forming a realistic and convincing story. We paid extra attention to choosing the most realistic locations, styling and cast in order to avoid an unrealistic world. From the moment I got involved in the project, we shared the same excitement as the producers, which made the project work perfectly. How would you describe the style and tone of the show? Our priority was to create a location, a world where the characters made contact with each other for a long time. We created a neighbourhood called Sarmaşık and tried to narrate it in a believable way. We tried to design an environment with lots of shimmer, which was easy to watch and not depressing. Whatever happened in Sarmaşık had to remain there. It had to be isolated from the outside world but right in the middle of it. The clothes of the women, the design of their houses, their hair and make-up rituals had to serve this world. Eventually there’s a murder and we had to sprinkle tension among that shimmer. Was it challenging to define the individual characters of the four women at the centre of the show? The key part of the project was to set up the four characters as different from each other. Their acting and lifestyles wouldn’t be so different, but it was important to design their outfit and their choices properly. I can say that I worked with four different types of actress. At first it seemed to be a risk, but it’s bliss to see that I have made the right decisions. Our actors’ contribution to their characters has considerably helped the project and our screenwriters. How did you work with the lead actors? After rehearsals with the actors, we had long conversations about their characters. The language and acting rhythm was very important in this project, as it is in all projects. Although each character and their styles are different, we had to preserve the harmony with language integrity and credibility. It wasn’t easy but I think we succeeded. How is the role of a director changing in Turkish drama? With all of my projects, I try to reach a wide audience. I try to create moments and emotions that the audience can enter. My biggest aim was to break down the wall between the audience and make them feel as close to the story as possible. The hardest part was to appeal to both total individuals and the AB category of viewers. The actors have proven, with their discipline and compromises, that the right casting plays a very important role in star-focused projects. What was your role across the entire 99-episode run? I was always passionate about enjoying every aspect – the music, the editing, casting, styling and trying to do something new. What is the international appeal of the series? We believe it’s a universal story. We’re showing a form of relationship between women that can be seen all around the world. Since it has attracted attention in Turkey, although it’s a more conservative country compared with other European countries, I believe it will be successful in other countries as well. How is the Turkish drama industry changing in an increasingly global market? Unfortunately, the country’s political situation leads the drama industry to self-censorship and we often avoid focusing on universal stories. I think working on universal topics in the local atmosphere, receiving financial and technical support, will lead us to success in international markets. We’re a country with very talented actors, directors and screenwriters. We shouldn’t try to create projects that look like the Nordic shows or try to localise a series that’s very successful in America. I think we can gain momentum throughout international markets as long as we reflect the realities of our region.